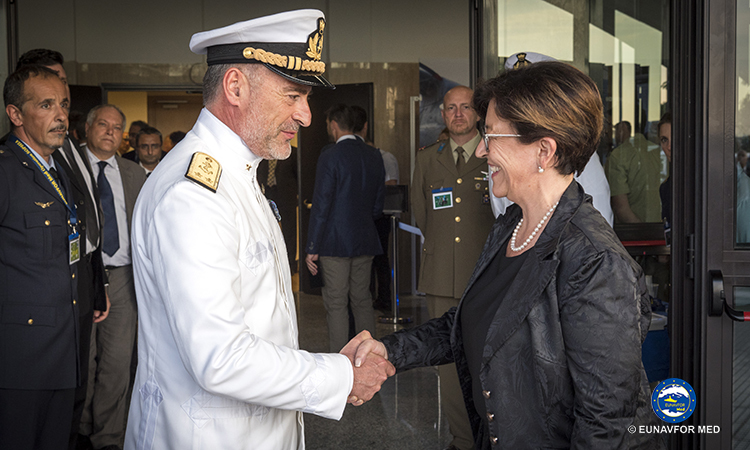 Last 19th of June in Rome, EUNAVFOR Med operation Sophia Commander, Rear Admiral (UH) Enrico Credendino, opened the “Gender mainstreaming” seminar in the presence of the Vice President of the Italian Chamber of Deputies – Ms. Mara Carfagna, the Italian Minister of Defence – Ms. Elisabetta Trenta, the Maltese Minister for European Affairs and Equality – Ms. Helena Dalli, the Principal Advisor on Gender Issue of the European Union External Action Service (EEAS) – Amb. 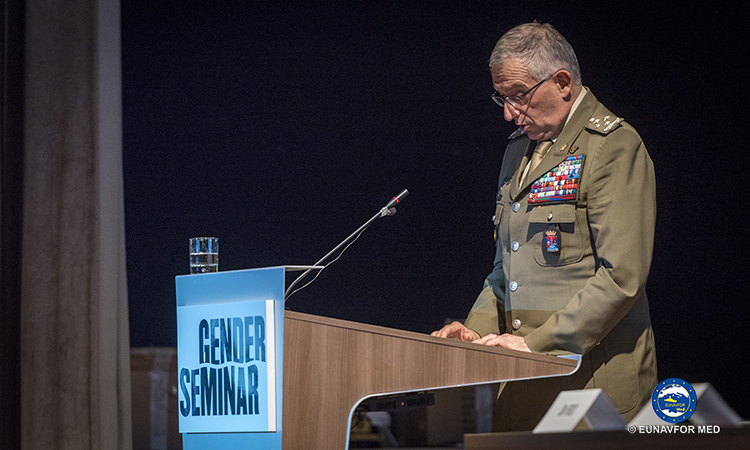 Mara Marinaki, the Italian Chief of the Defence – General Claudio Graziano, the Senior Fellow, Gender and Security Issue of the Istituto Affari Internazionali (IAI) Rome – Ms. Irene Fellin, the Epistemologist and Essayist – Ms. Eleonora Fiorani and, as seminar moderator, the Vice Director of Italian newspaper “la Repubblica” – Mr. Gianluca Di Feo. 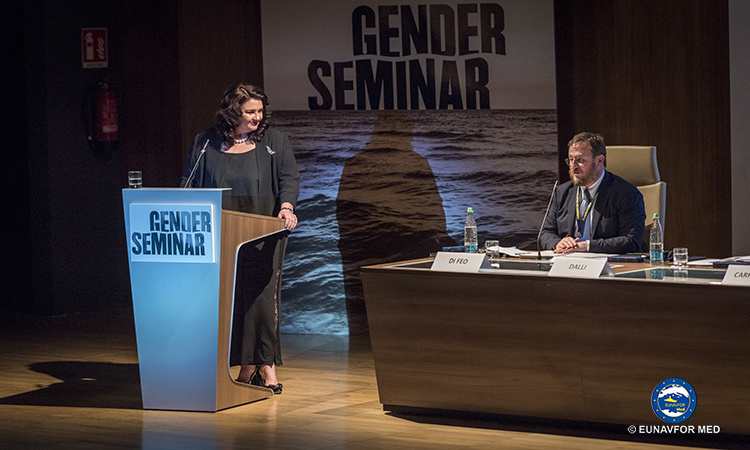 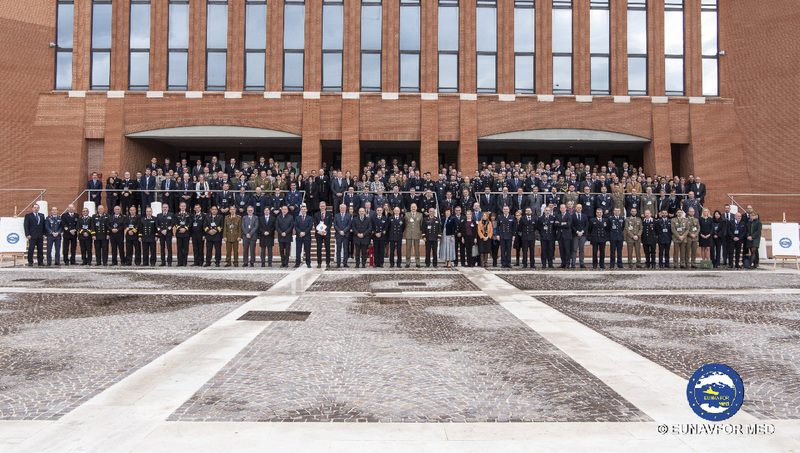 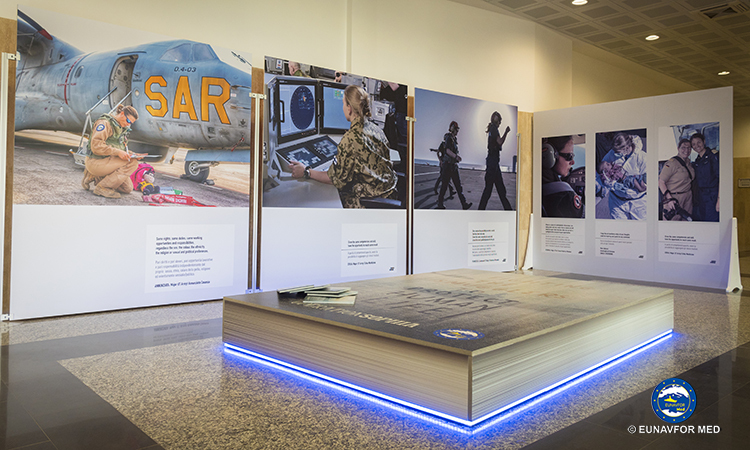 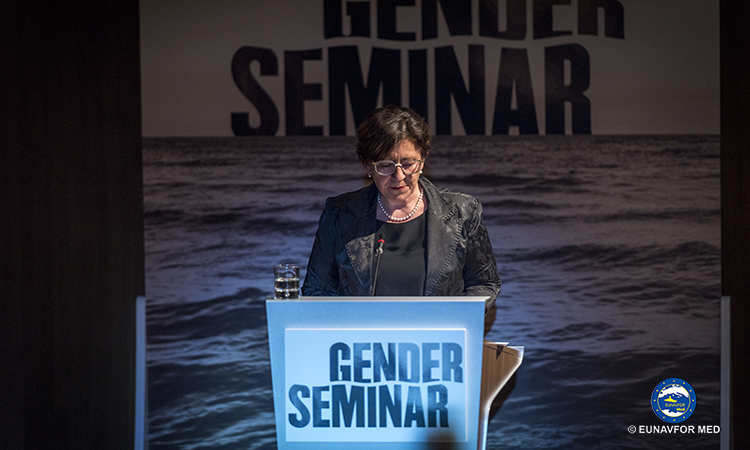 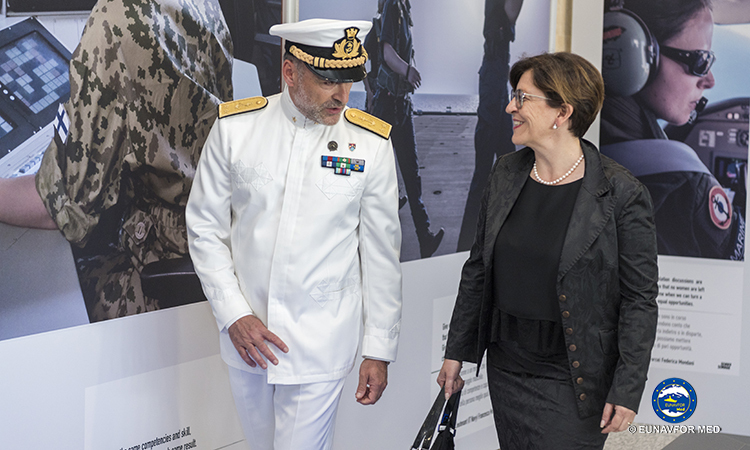 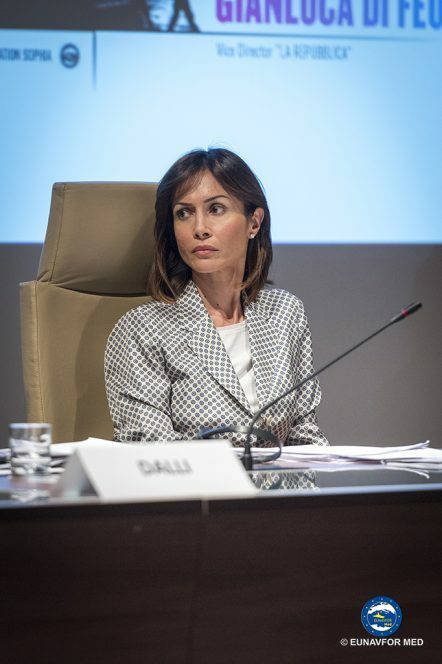 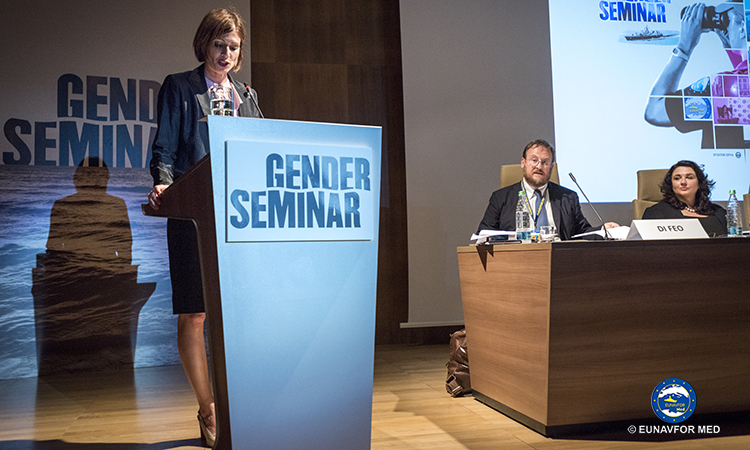 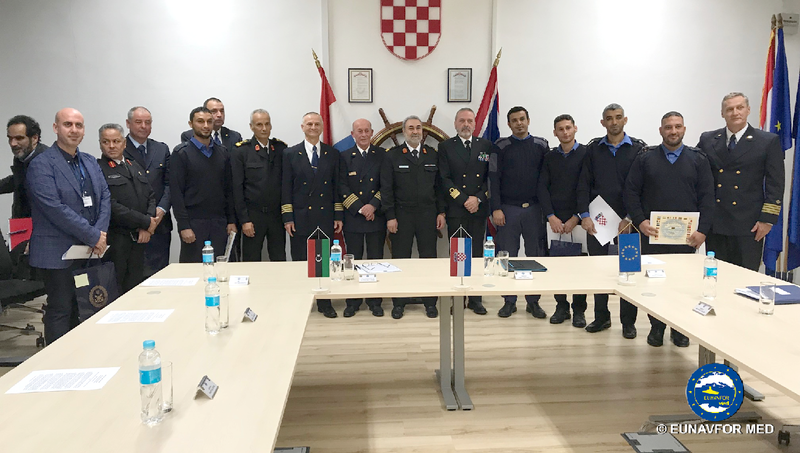 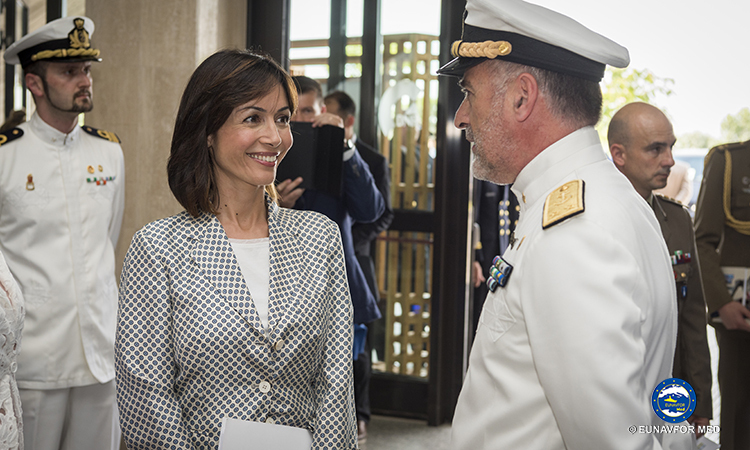 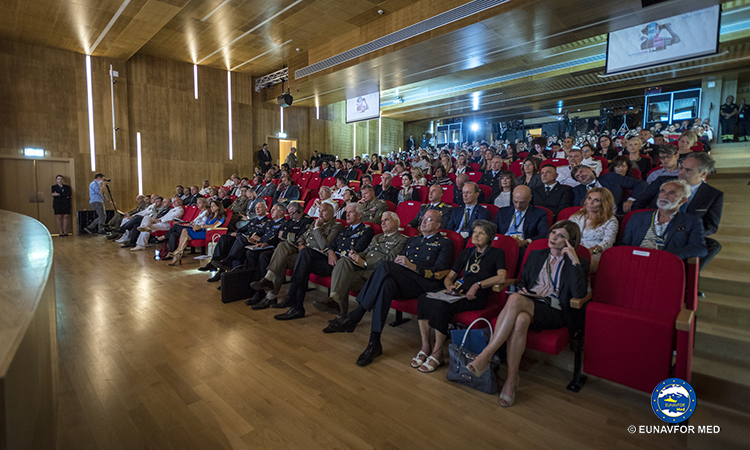 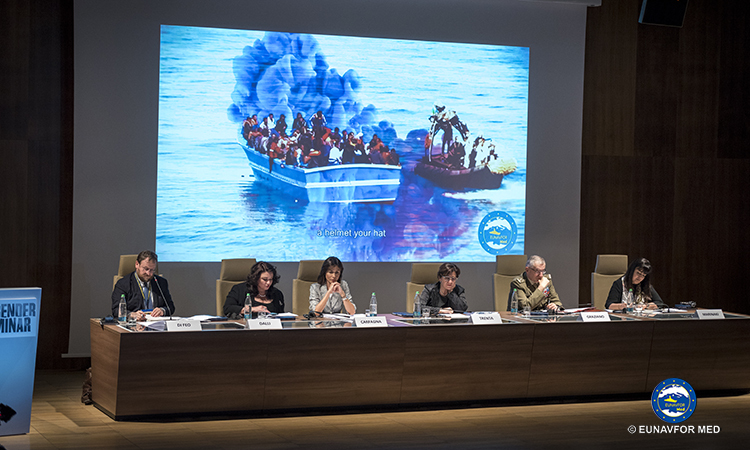 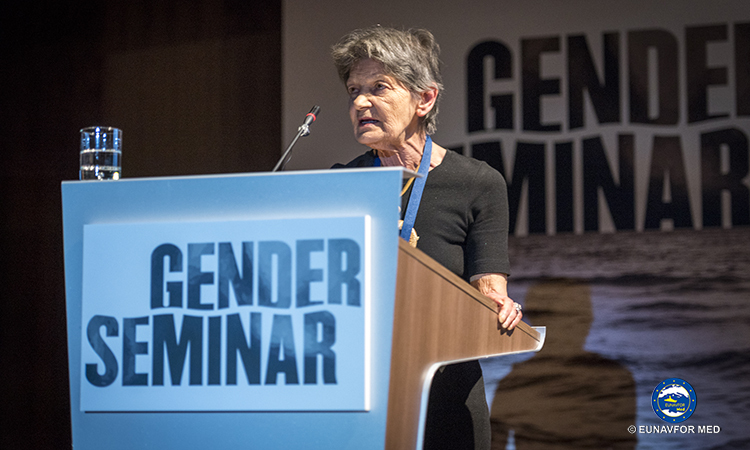 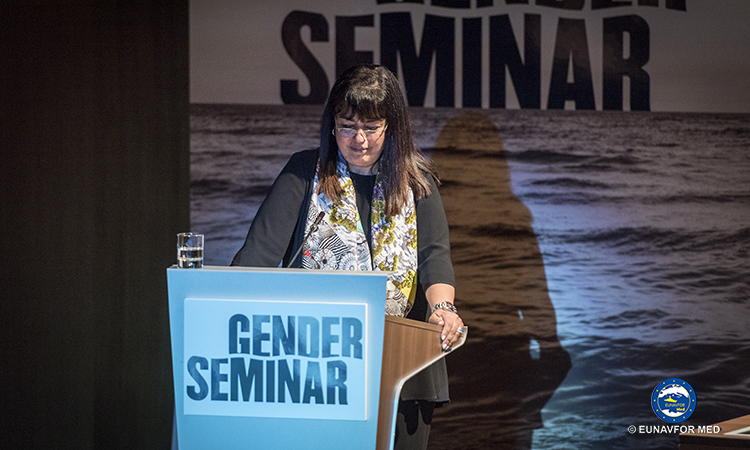 The seminar is part of the series of initiatives put in place by EUNAVFOR MED on Gender, to advance gender topics even within the EU Common Security and Defence Policy (CSDP) and to strengthen gender equality in all aspects of the operation. 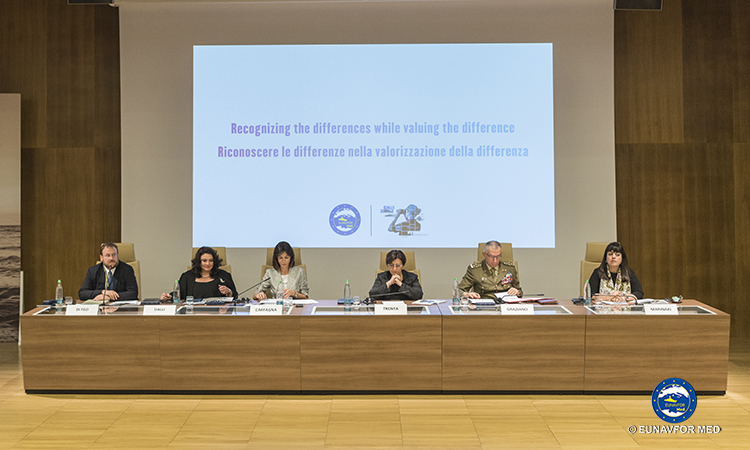 Among the main actions undertaken by EUNAVFOR MED, it has to be remarked the implementation of standardized operating procedures on the treatment of vulnerable people rescued at sea, the creation of dedicated manuals focused on the different aspects of the gender issue in favour of operation Sophia personnel and, finally, the implementation of a specific Gender Strategy, implemented in accordance with the requirements of the European External Action Service. 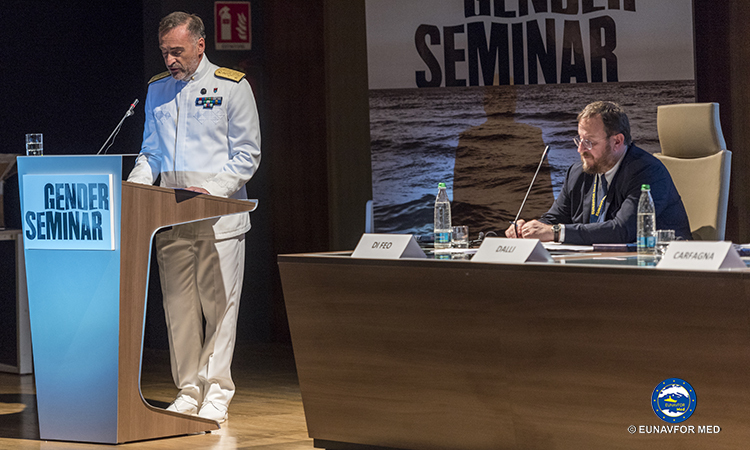 Admiral Credendino ended his welcome address speech underlining: “Recognition the differences while valuing the difference. 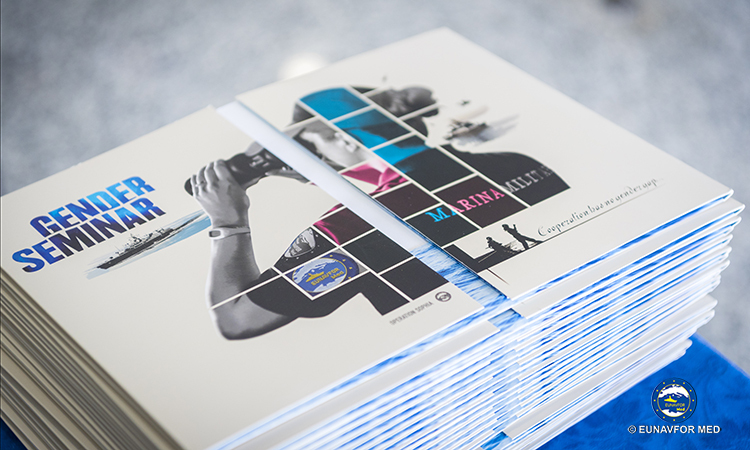 Our motto”.